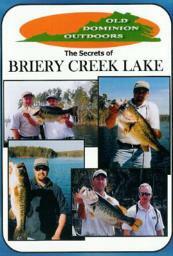 Virginia's Largemouth Bass State Record - How Long Will The Record Stand? ahead and consider the prospects of a new state record bucketmouth. separates first through third place! bass over 13 pounds is a trophy indeed! standard, but not a serious threat to the state record. chance…every single year, but that record has proven difficult to top”. especially with the new, big protected slot limit,” opined Mr. Odenkirk. He also suggested a few darkhorses, so let’s look at the contenders. than three fish over 10 lbs that year. produced eight bass over 13 pounds! the record since 2002, it must clearly be considered the frontrunner. lb 4 oz) - an impressive showing for any lake regardless of size. record already be in place? largemouth bass over nine pounds! landowner, and be willing to help out around the farm or homestead. group of four largemouth bass relaxing in the sun along the shoreline. stocked Virginia lake could indeed produce a record-book black bass. certainly not change the monthly rankings.